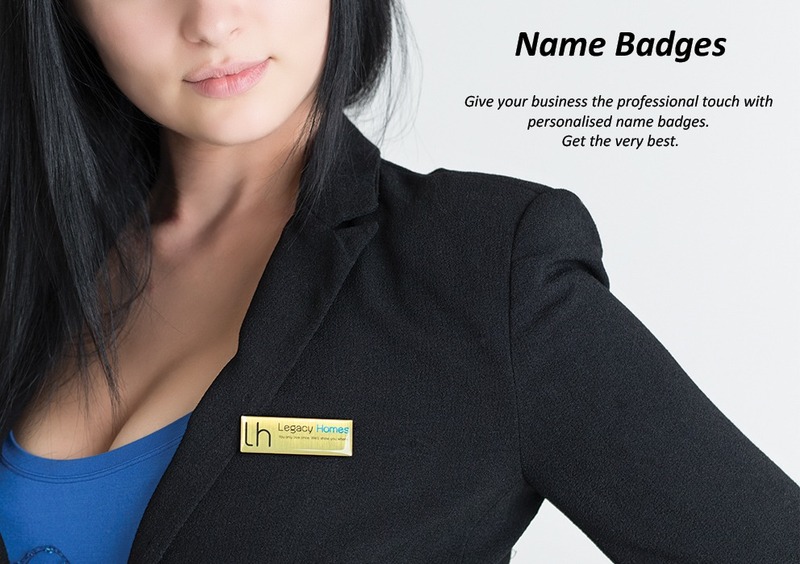 Custom Engraved or Printed Name Badges at the most affordable prices delivered to your door for free in South Africa. 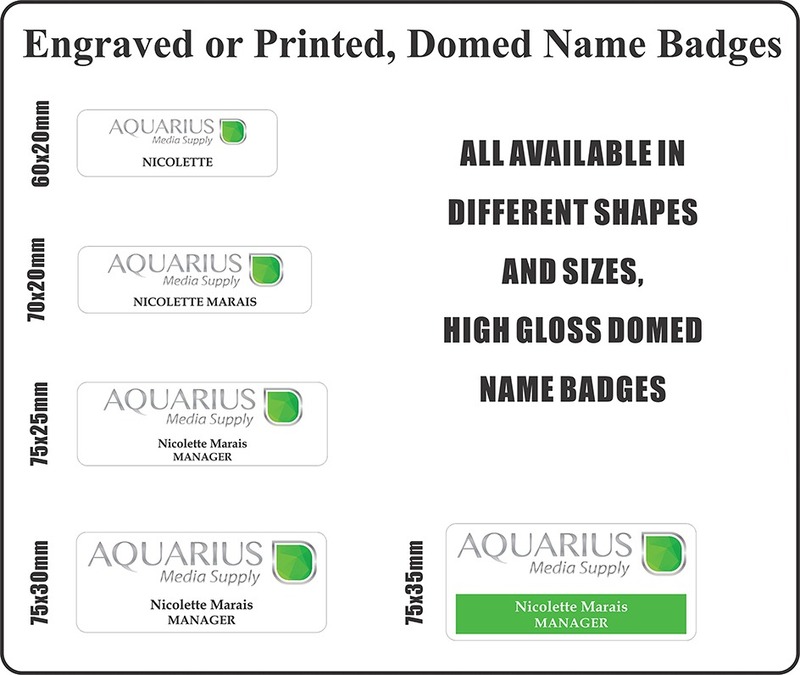 Welcome to Aquarius Media, we are one of the market leaders in the name badge industry. We will beat any written quote. 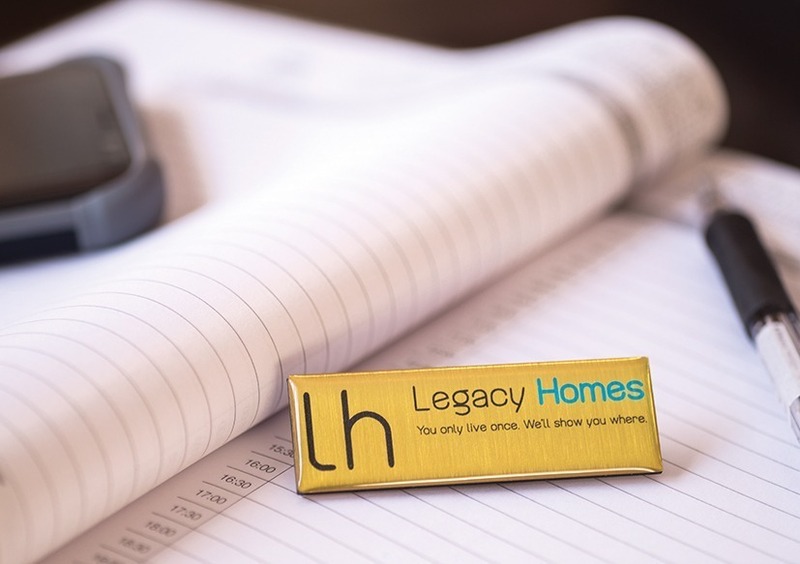 Name badges can be customised to any colour, shape or size. We supply engraved or printed domed magnetic name badges to clients nationwide within 3 to 5 working days once the proof has been signed off. Proofs will be sent back to our clients within 45 minutes once we have all the information for the name badges. What are the most common name badge sizes ? The most common name badge size is 60 x 20mm however below you can see other standard sizes on offer. We are also able to customise the shape to your liking. What are the prices of the name badges & do we get a bulk discount ? Bulk discounts are available on big orders as seen below, also deliveries are free nationwide for any orders above R250. All the prices are inclusive of vat. We also offer Canvas Printing in Johannesburg and service clients throughout South Africa for office and home purposes! Vinyl sticker name badges are done using the latest digital print technology from Roland. Our Roland printer will produce stunning print colour quality. The print run will then finally go through the doming process on our Demak doming machine which is able to dome up to 500 plus stickers a day. Once the resin has been poured onto the badge it will be baked in an industrial oven which will be finally cemented. The hardened resin cant be pulled off once set. These stickers are then applied to the backing of the name badge material. Custom Magnetic Name Badges to Joburg based customers in Kempton Park, East Rand Bedfordview and surrounding areas. Aquarius Media is one of the market leaders in the industry and have been established since 2003. If you looking for top quality Name Badges at the best possible prices don’t hesitate to contact us for a quote on supplying Custom Engraved or Printed Name Badges in Johannesburg, Cape Town, Pretoria or anywhere else in South Africa. Thank you so much ! Will recommend your company as your service and product is fantastic ! I’ve just received my order! Thank you so much for such excellent service and quick delivery! I’ll definitely be recommending your company to my colleagues. WOW you guys are really excellent!!!!!! !